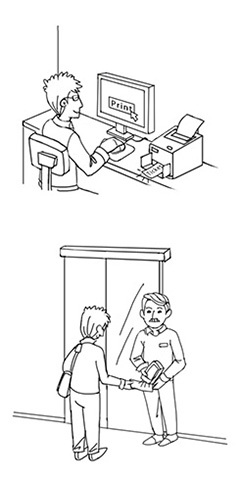 In order to improve service quality and reduce wait times, the manually inserted ticket validator needed to be eliminated. 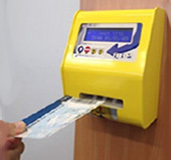 The E430M2-3B2 is a portable and mobile ticket validator running OTOT's "Event Access" Android program, this significantly increases the overall speed of entering events and there is no need to insert and wait for your ticket to be approved. 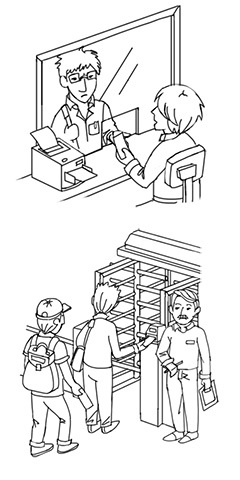 Mobility, efficiency and accuracy are key when it comes to getting fans to into large events. 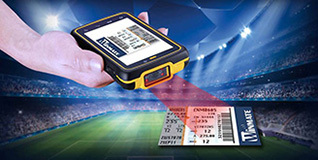 Winmate's E430M2-3B2 scans and monitors tickets / passes rapidly for visitors, press, or workers, by 3G connection, this data is transmitted to the control room, and an exact number of people inside the stadium can be validated at any given time; this is vital to monitoring the stadiums maximum safe capacity.The control room is able to monitor where the busiest gates are and can assign or allocate more staff equipped with the E430M2-3B2 to help improve the overall speed of entry into the stadium. With enter and exit statistics now available, events can be studied and improved every time to provide the best fan experience and overall staff efficiency. • Android 4.1-inch "Jelly Bean"